A Yorba Linda High School student takes part in a mock field sobriety test with the Orange County Sheriff's Department during the "Every Fifteen Minutes" car crash reenactment on April 10. *This is a re-enactment. 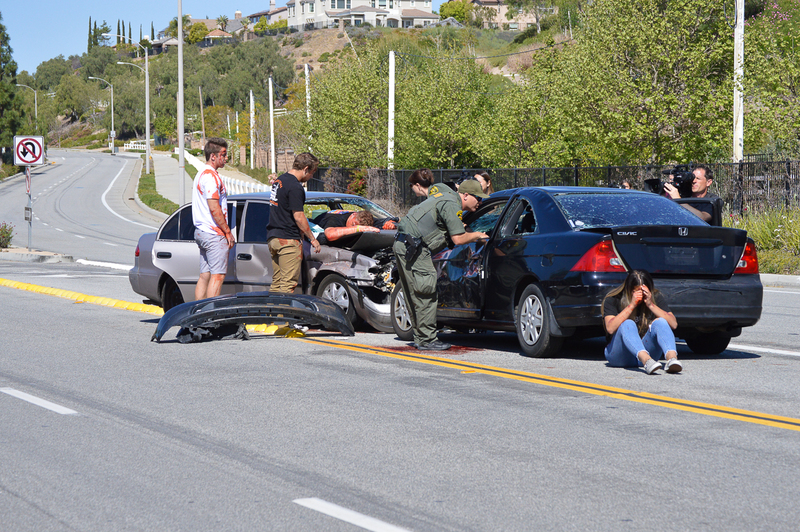 On April 10 and 11, Yorba Linda High School (YLHS) participated in an “Every Fifteen Minutes” car crash re-enactment and assembly. For decades, this program has existed in high schools throughout the nation in order to display the severe dangers and consequences that come along with driving under the influence (DUI) or driving distracted. The program is based off the fact that someone in the United States perishes from an alcohol-related traffic collision every fifteen minutes. 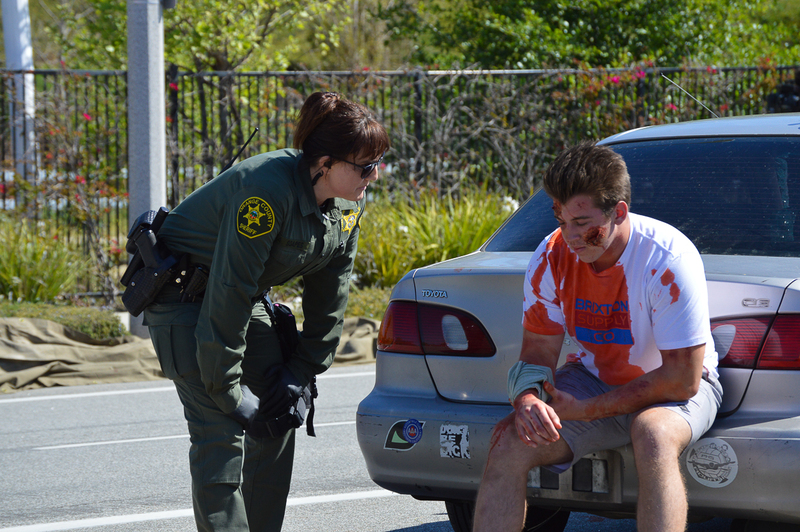 In conjunction with the Orange County Sheriff’s Department (OCSD), Orange County Fire Authority, and California Highway Patrol, a DUI/distracted driving car crash re-enactment was displayed on Bastanchury Road in front of campus for grades 11 and 12. Students from different groups on campus participated in the car crash re-enactment and the roles of “the walking dead.” Every fifteen minutes throughout the school day leading up to the car crash re-enactment, the grim reaper would enter a classroom to “take” a Mustang. Each time this happened, it symbolized their “passing away” in a DUI/distracted-related incident. 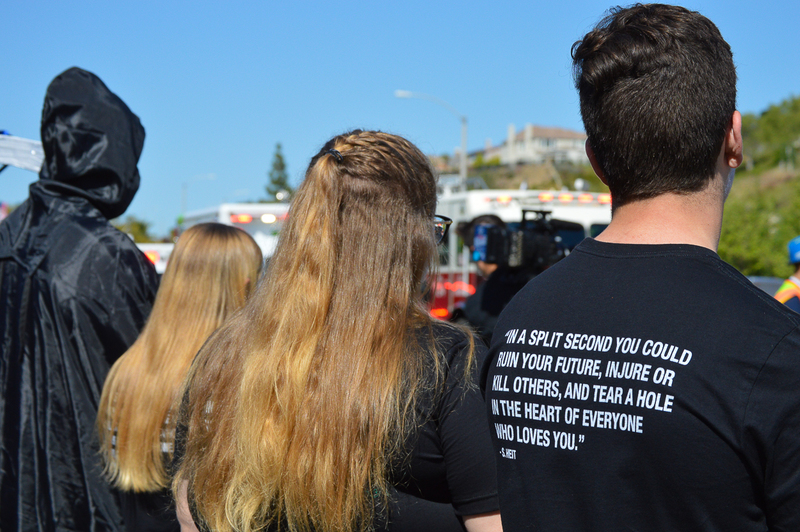 On April 11, the day after the car crash, Yorba Linda held an assembly to “mourn” those that had passed and further discuss the potential results of driving under the influence and/or distracted. A special thanks to Yorba Linda High School’s School Resource Officer (SRO) from OCSD, Deputy Nick Doty, and Activities Director, Shea Runge, for organizing the event in benefit of students. 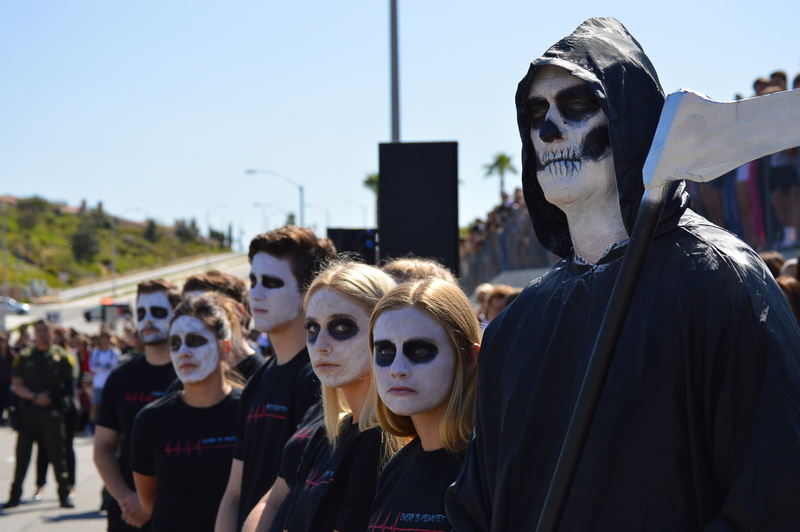 Be the first to comment on "Yorba Linda High School students witness the dangers of driving under the influence or distracted with Every 15 Minutes program"